We pray the Lord’s blessing on every reader of ChristianBlessings from every island and continent in the last 7 years. All glory to Him who sits upon the throne and knows each reader, need and supplies even through our wonderful bloggers here. 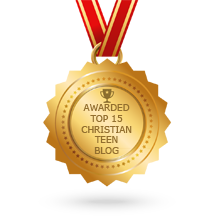 This entry was posted in A CLICK A BLESSING TODAY, CHRISTIAN FAMILY FUN AND HERITAGE, PRAISE THE LORD TESTIMONIES and tagged One million readers September 2017. Bookmark the permalink. Also thank you for the music – worship Christ ministry.